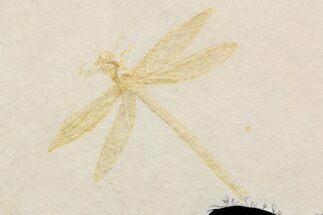 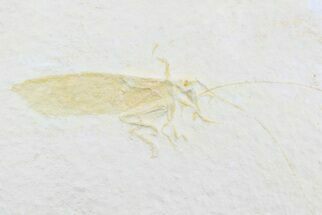 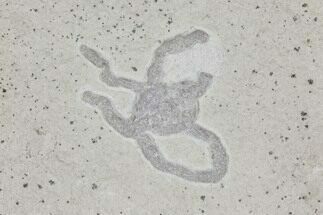 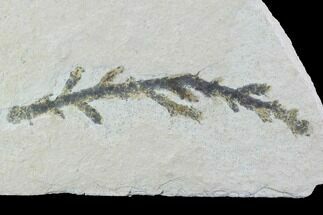 This is is a highly coveted fossil dragonfly (Tharsophlebia) from the Upper Jurassic, Solnhofen Limestone of Germany. 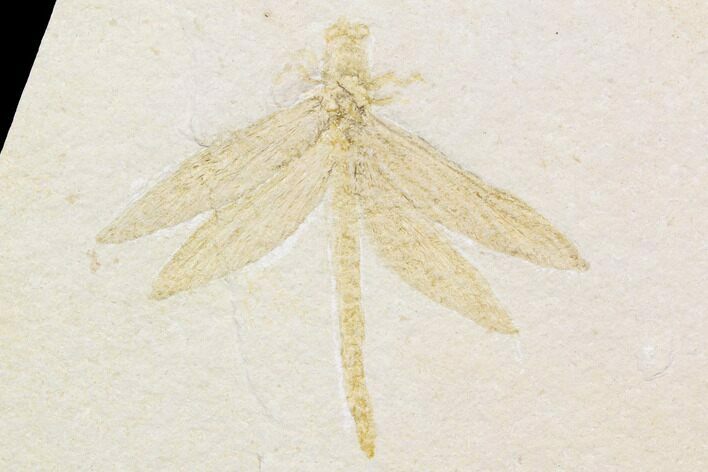 Complete fossil dragonflies are rare finds in this formation and there are several species present. 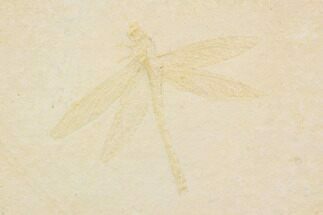 The body is 2.9" long and wingspan is over 3". 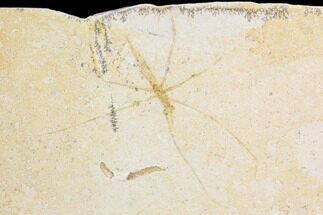 This is an affordable example of a rare dragonfly fossil.